Lister type Diesel Engines are manufactured by us under expert technical supervision. All the parts of a lister type diesel engine are interchangeable with original products. These are designed to meet the demand of agriculturists and industrialists. Our range of lister type diesel engines have been developed with robust features and fine finish. Lister type water cooled diesel engine in 8 HP are manufactured under expert technical supervision. The Stationery Engine of Robust Construction, Simple in design, with the best workmanship, are an ideal engine for agricultural applications catering to the needs of the agriculturist and industrialist also. Delivery time: 45 days from the date of receipt. 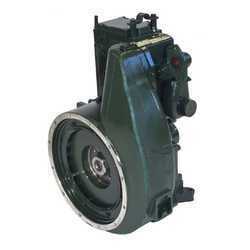 In our extensive product range, we offer 12 hp lister engines, procured from reliable and trusted vendors. Slow speed, water-cooled and double cylinder diesel engine, the offered products are widely used in stationary application. Vertical in construct with 4 stroke cycle, these are suitable for run-through or thermosyphon cooling. Delivery time: 45 days from date of receipt of advance / l/. Our Lister Diesel Engines are precisely manufactured and are highly in demand in the international market for its quality, durability, and performance. They are extremely simple to handle and are easy to maintain. 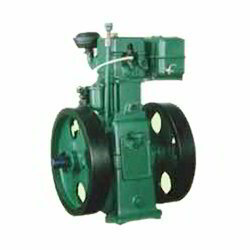 These irrigation pump engines are widely used in agriculture sector. packaging details: export worthy wooden case packing. Looking for Lister Type Diesel Engines ?